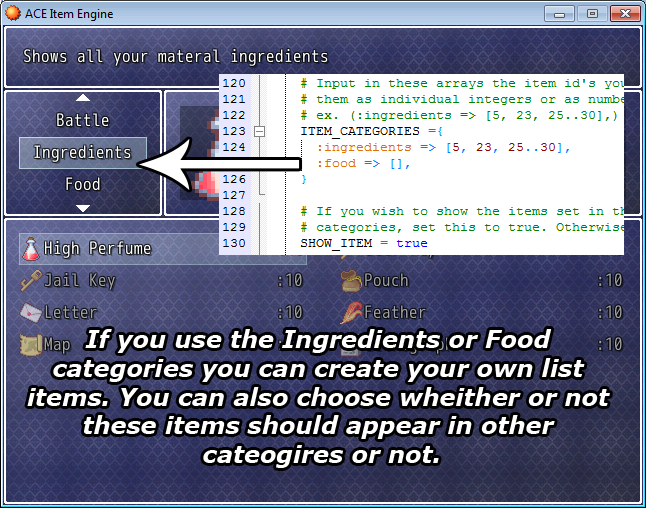 The default scene_item is just an unorganized boring list of items. 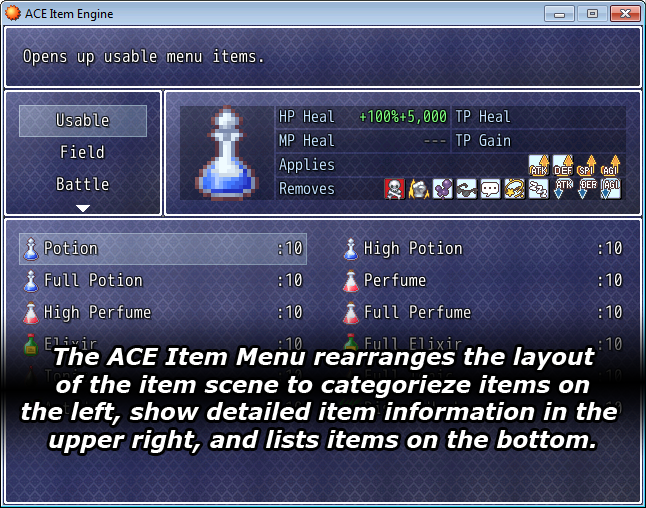 The Ace Item Menu offers more item categorization control and a better layout that simulatenously provides information regarding the items to the player, while keeping a good amount of the item list visible on screen at once. The script can also be customized to rearrange commands and categories. To install this script, open up your script editor and copy/paste this script to an open slot below Scene_Debug, and Warrior_Engine, but above Main. Scroll down and edit the module as you see fitting for your game. This looks like a great script but I've discovered an error. Script 'Item' line 1027: NoMethodError occured. oh ops I forgot to update Scene_item when I updated Scene_base. That fix works, thank you.